What fields do Arts majors enter? Use CCE’s Industry Exploration webpages to learn more about these, and other fields. Your major can definitely demonstrate relevant coursework and knowledge to a prospective employer, but your studies aren’t the only aspect of your experience that employers are evaluating. They select people who they believe can do the job (have the right skills), want the job (have demonstrated an interest in the field) and are a personality fit for the team and organization. What value do Arts majors bring? 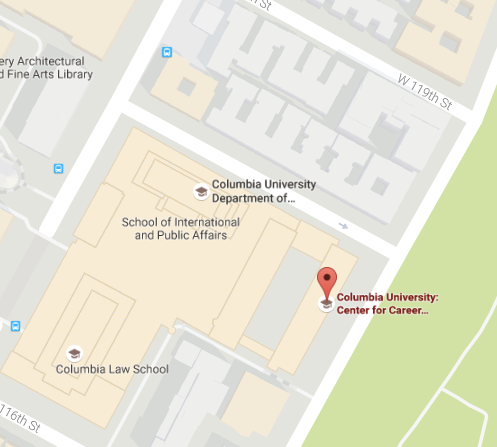 For international students at Columbia under student visas, selecting your major can play a significant role if you plan to work in the US after completion of your degree. Optional Practical Training is a work authorization that allows an international student to work in a job directly related to the student‘s major area of study either before or after degree completion. Employer sponsored H1B Visas also have similar strict requirements. Students with more questions about this should visit the International Student & Scholars Office (ISSO) and view CCE’s International Students webpage.